Aisha Maniar examines the UK government’s policy of carrying out language analysis tests on undocumented asylum claimants. According to the United Nations Refugee Agency (UNHCR), a record 65.3 million people worldwide were displaced within and without borders in 2015. Although increasing slightly each year since 2010, after having fallen sharply in the first decade of this century, the number of asylum seekers in the United Kingdom in 2015 was 32,414, or 3 per cent of claims made in Europe, bucking the worldwide trend. The British approach has long been one of deterrence. Of applications made in 2015, 64 per cent were initially refused. These administrative tests, which fall within the field of forensic linguistics, were first used in Sweden in the early 1990s to determine the origin of undocumented asylum seekers. The process has since spread throughout the western world and has been used by the UK border authorities since 2000. The methods applied, which are recognised as being non-conclusive, are based on the premise that language, a marker of social and cultural identity fluid over space and time, can fit the contours of the political and administrative identity of nationality, tailored to the static borders of modern nation states. The costly process has high stakes for asylum seekers: as well as seeing their claims rejected, they risk being sent to the country they are identified as coming from, with which they may have no connection. The tests have been subject to much criticism from linguists, lawyers, the courts and activists. Criticisms have included the use of unqualified analysts and linguists to carry out the tests, the anonymity of analysts and the reliability of such tests to determine nationality. In spite of the British government having acquired a new supplier and amended its instructions, the premise for the use of language analysis has not changed: the starting point is ‘doubt‘ and mistrust of the veracity of the asylum seeker’s claims. The British government’s decision was well-timed. On 12 November 2014, the Swedish documentary programme Mission: Investigate broadcast an investigation into a Sprakab Somali analyst that raised questions about his background and the validity of his analyses. The programme claimed he had previous convictions and had falsified his qualifications. Nonetheless, he had carried out over 5,000 analyses for Sprakab. The programme also looked at some of the cases where individuals faced deportation following analyses he had carried out. The analyst, EA20, was involved in the case the Supreme Court ruled on earlier in 2014. As well as erroneously claiming that the asylum seeker ‘speaks a variety of Somali with certainty found in Kenya’, it was his value judgment that ‘Her knowledge sounds rehearsed for the occasion’ that led the judges to find the analyst had overstepped his role as a witness. This was not the first media scrutiny of Sprakab in Sweden; a radio programme in 2012 had made similar findings. Further criticism of EA20’s analyses and reliability was raised in another documentary in March 2015. Following the controversy created by the TV documentary, the Swedish Migration Board commissioned an investigation into its use of language analysis; the report was published on 30 June 2015. It raised issues flagged by others, such as the lack of any correlation between native language and nationality, criticised the use of commercial companies for this purpose, and called for more robust guidelines by the authorities commissioning such tests. The investigation also referred to recommendations made by the UNHCR to Sweden in 2011 which called for the exercise of caution in using such analyses due to their questionable reliability. A fundamental flaw remains irreconcilable in the use of language analysis: language is not a marker of political identity. The relationship between language and identity is complex. While language analysis may in future be fine-tuned to produce a linguistic process with some legal value, ultimately it is a linguistic means used to serve a political end. According to Professor Peter Patrick of the University of Essex, language analysis can be performed well, although there are many cases where it should not be carried out at all, given ‘the complex trajectory of asylum seekers’. The motives for language analysis ‘usually have nothing to do with linguistics’ and in commissioning language analysis, governments ‘often attempt to defer key aspects of decision-making to some “objective” or “scientific” process outside the asylum bureaucracy’. The rationale for using language analysis ‘includes speeding up application processing, cutting costs and deterring fraudulent claims’, even though ‘a Home Office report (2011) concluded that it is not possible to know whether LA [language analysis] is a deterrent.’ As a result, exemptions, under the Equality Act 2010, have consistently been applied to several countries at a time at least, with further unreported exemptions. This means that all undocumented individuals claiming to be from these countries are automatically suspect and subject to analysis, even though the Refugee Convention requires cases to be judged on their own merits. Since February 2013, an exemption has been automatically applied to all inadequately documented asylum applicants claiming to be Syrian, Palestinian or Kuwaiti nationals. A policy change in February 2017 means it is no longer being used with respect to Kuwaitis, which suggests Kuwaiti applications have fallen. Such exclusionary policies have political merit. The UK government aims to settle 20,000 Syrians in need of protection by 2020 under its Vulnerable Persons Resettlement Programme. By the end of 2015, less than 1,200 Syrians, handpicked by the UN, had been resettled through this scheme and are not asylum applicants. By deterring those Syrians who arrive by other means, the government can simultaneously appease both those who support and those who are sceptical of refugees. Similarly, at around the same time that Sweden announced in September 2013 that it would accept all Syrian refugees arriving in the country, around 50-60 Syrian Yazidi families were given deportation orders to Armenia after language analysis tests, deemed substandard by lawyers, claimed their national origin lay north of Syria. According to Dr John Campbell of SOAS, the immigration tribunal has ‘normalized’ the use of language analysis as ‘expert evidence’. 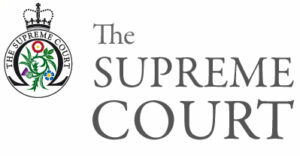 It is unsurprising then that the Supreme Court’s 2014 judgment has had a minimal impact on asylum appeals, largely because the courts have ignored the guidance it provides and have been reluctant to review the matter further. Appeals based on the use of language analysis continue nonetheless. One such appeal was brought before the Upper Tribunal in January 2017 by lawyers for KY, one of the successful parties in the 2014 Supreme Court ruling, involving an Iranian Kurd who had his asylum application rejected after being deemed an Iraqi by a Sprakab analyst. The appeal, since dismissed on the facts, was based on part of the guidance given by Lord Carnwath, that the Upper Tribunal ‘ought to give further consideration to how the basis for the geographical attribution of particular dialects or usages can be better explained and not (as it often currently seems to be) left implicit. The tribunal needs to be able to satisfy itself as to the data by reference to which analysts make judgements on the geographical range of a particular dialect or usage.’ Earlier in the case, an expert linguistic assessment had questioned the ‘certainty’ expressed in the Sprakab report. With the latest government guidelines published in February 2017, the policy will remain a mechanism to enforce the ever-decreasing right to claim asylum in the UK. Outsourced to private companies, it is left to the courts, lawyers and language professional and academics to continue to grapple with what the policy means in practice. Special thanks to Dr Karin Johansson Blight for providing the background on the situation in Sweden, and Dr Peter Patrick and Joe Bryce. The government changed the status of these Syrians on 23 March 2017 – previously the resettlement programme didn’t consider them refugees, see 'Syrian Refugees to be properly recognised as refugees at last', FreeMovement (22 March 2017). Until unjust systematic economics is tackled, you’ll be going around in the same circles. I don’t expect the majority of you to pay any attention, because most of you seem to be pseudo liberals anyway, but this is for those who need the truth.